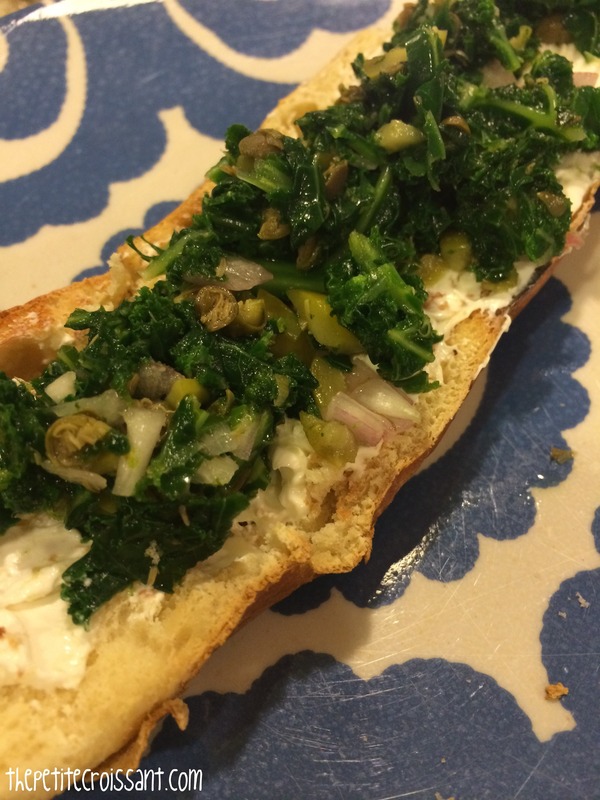 It’s actually surprising that I don’t post more recipes about kale because I really LOVE kale. I literally eat it everyday. But here is a new take on it. This bruschetta is easy to make, and I serve it on toasted bread on top of a layer of low-fat cream cheese or goat cheese (we tried both and both are great). 1. Bring a pot of water to boil on the stove. Once boiling, add the kale and boil until tender, about 5 minutes. Drain the kale, and use a spoon to press the extra water out. 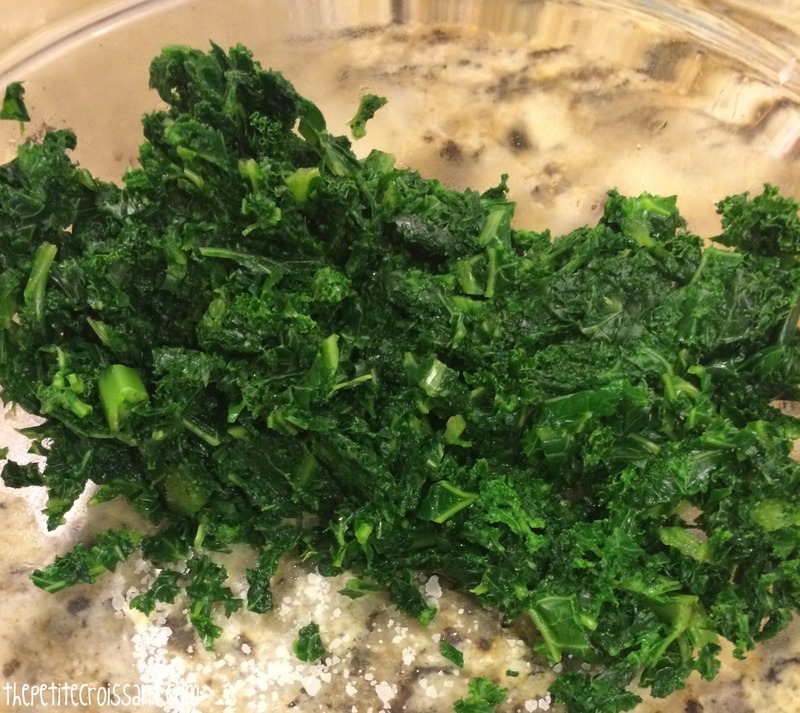 Chop the kale and garlic and place in a bowl. 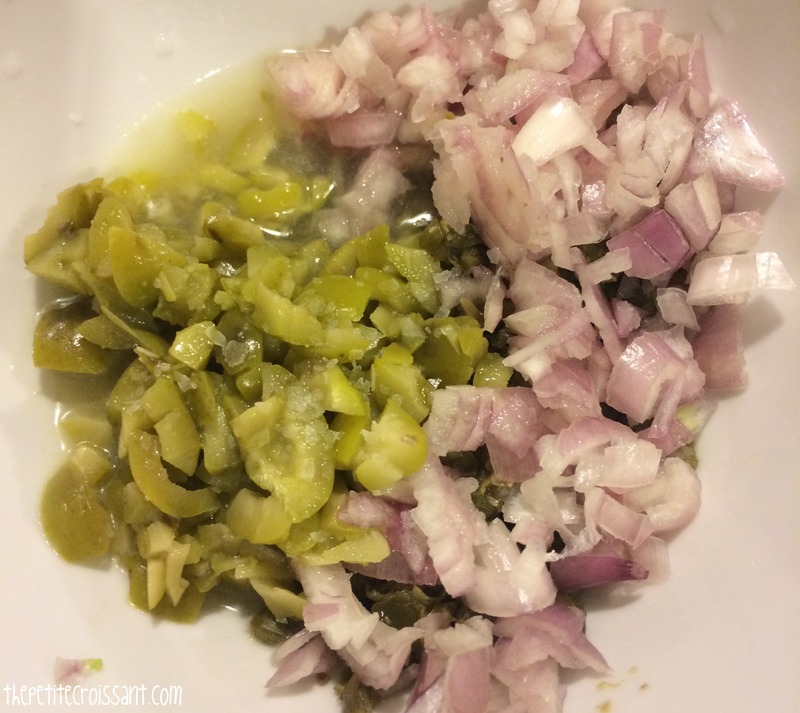 Add the other chopped ingredients – capers, shallots, olives, and parsley. Add the lime juice, salt, and pepper. 2. Toast your bread and smear with cheese. 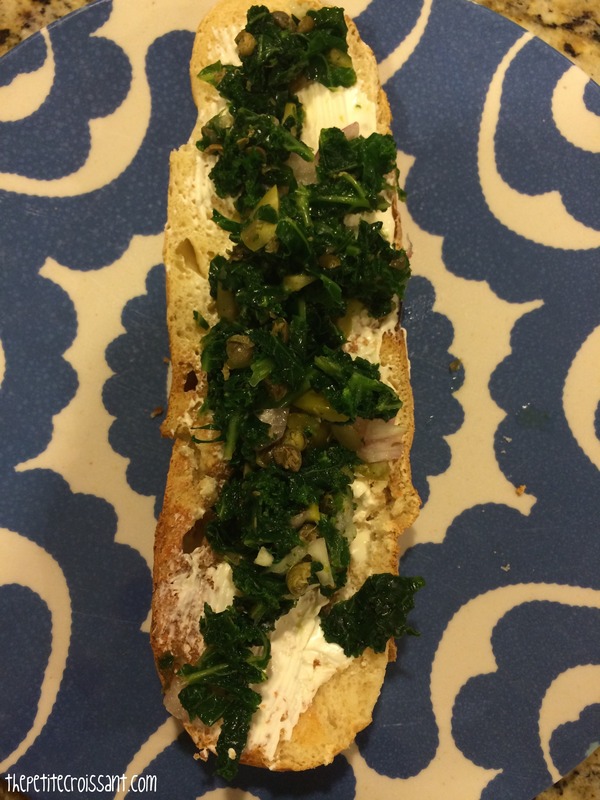 Top with the kale mixture.